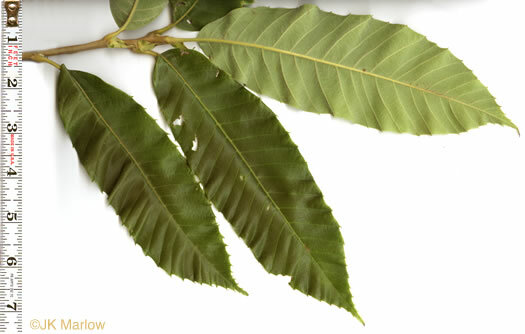 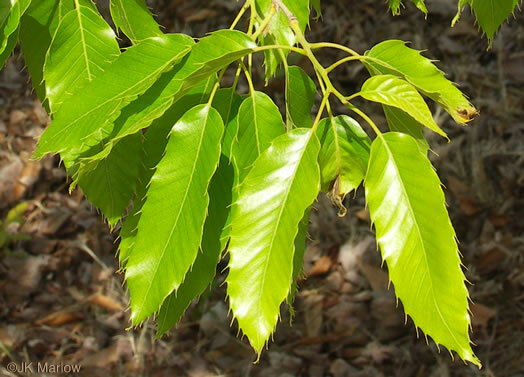 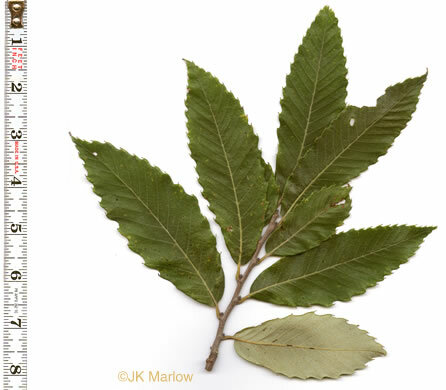 Your search found 6 image(s) of leaves of Chestnut and Sawtooth Oak. 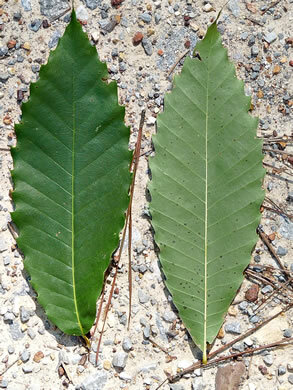 Leaves mostly 5-9" long, light green, glabrous, long-pointed, per Woody Plants of the Blue Ridge. 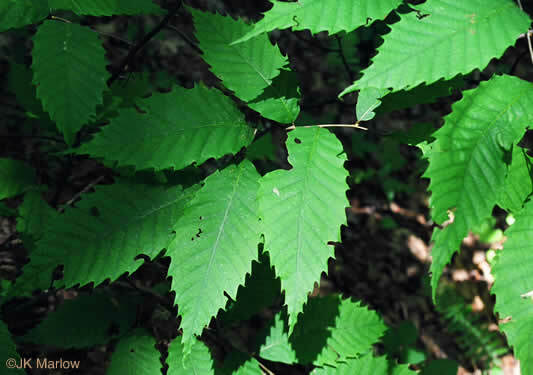 Leaves mostly 4-7" long, dark green & glossy above, pale & velvety below, per Woody Plants of the Blue Ridge. 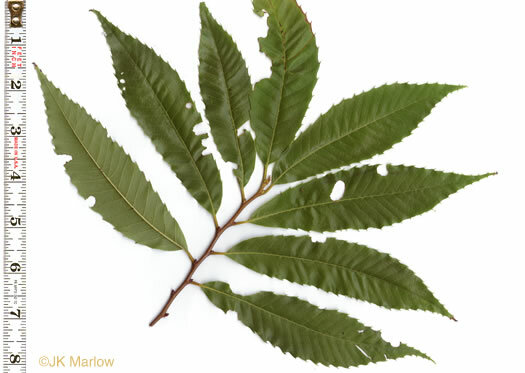 Leaves resemble those of Castanea, with awn-terminated marginal teeth, per Woody Plants of the Southeastern US: A Winter Guide.